“Join us for an uplifting evening of DC talent at the Colony Club this Friday, September 8 at 9 pm (doors at 8:30). Attendees are encouraged to donate anything they can; Colony Club will contribute 10% of bar sales to audience donations. 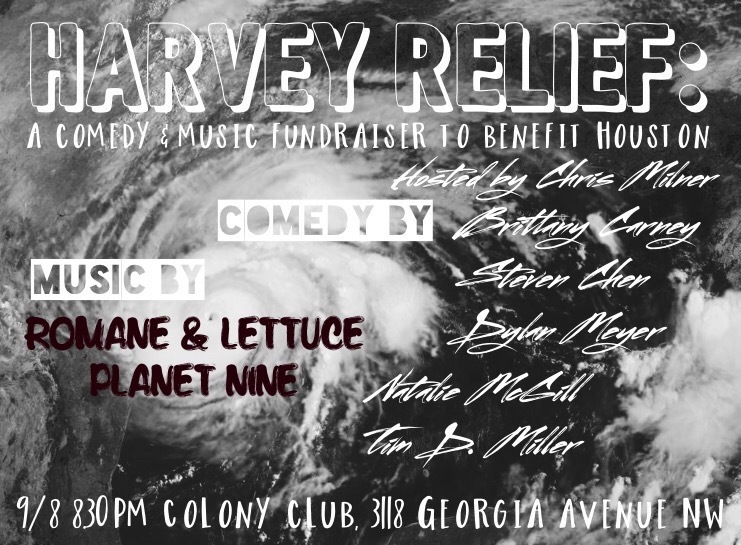 Donations will go to Houston-based organizations that center women, children, LGBTQ+ resources, residents experiencing homelessness, people of color, and displaced immigrant communities for a #JustHarveyRecovery. Here is a list of vetted organizations that we will choose from.